"The Spirit Play" (Strange Tree Group): See It Before It Vanishes! Chicago Theatre Off Book Chats with Sideshow Theatre and Lyric Opera and much more! "The Thirteen Clocks" (Lifeline Theatre): Solid-Packed Sixty Minutes! Chicago Theatre Off Book chats with Timeline, Stage 773 and reviews Lookingglass, The Lyric and Strawdog plus "Got A Minute?" "The Ugly One" (Sideshow Theatre): Hideously Funny and Pretty Profound! 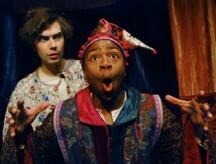 "The World Over" (State Theatre): Fun, Frolicking Fantasy! 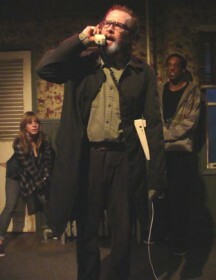 EXTENDS THRU January 14th "Bus Stop" (Raven Theatre): This Bus Keeps On Trucking!